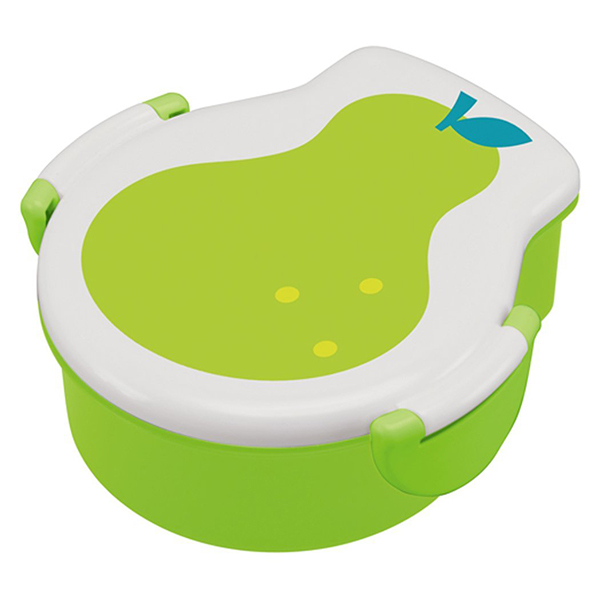 These made in Japan Fruit Shaped Air-tight Lunch Box are available in 3 shapes: Pear (Green), Pineapple (Yellow), and Apple (Red). 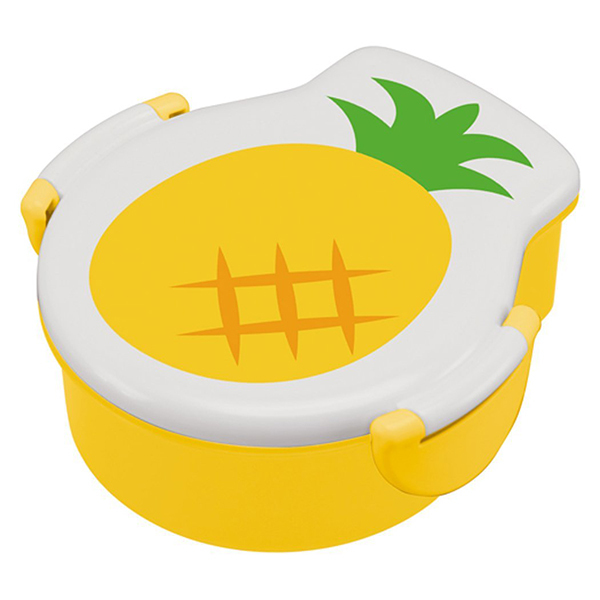 Fresh and fruity, this lunc box comes with a half-moon insert so you can keep your food separated. The seal is tight, guaranteeing it won't leak in your bag. 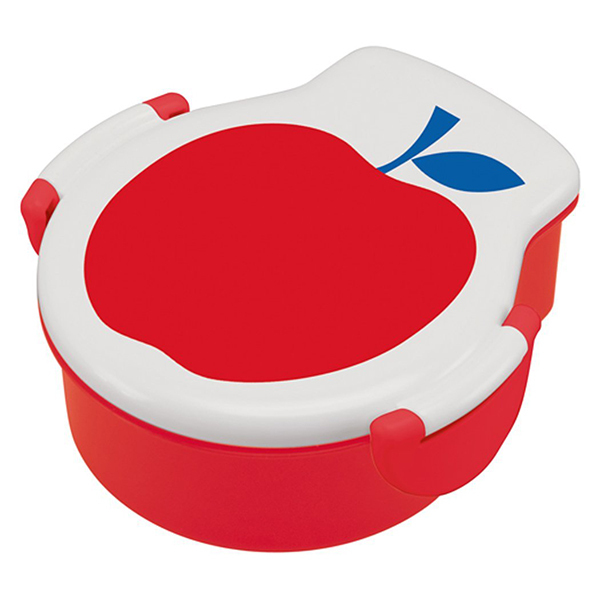 This lunch box has a lightweight colorful fruit shaped lid that clips closed securely. It's perfect for bringing your food or leftovers to work or school. The lid snaps on securely with two "easy to use" snaps on each side of the lunchbox! The inner compartments easily remove for cleaning or eating out of! Dimensions of the box: 14.5 cm wide x 15 cm long x 5.9 cm high (5.7" x 5.90" x 2.32"). The stopper made of Acrylonitrile Butadiene Styrene (ABS) (recyclable and has the number "9" as its resin identification code) (safe temperature range: -20°C to 80°C (-4°F to 176°F)). The container made of Polypropylene (PP) (recyclable and has the number "5" as its resin identification code) plastic (safe temperature range: -20°C to 140°C (-4°F to 284°F)), the lid made of Styrene Acrylonitrile Resin (SAN / AS) (safe temperature range: -20°C to 80°C (-4°F to 176°F)), and packing made of Silicone (safe temperature range: -20°C to 140°C (-4°F to 284°F)).